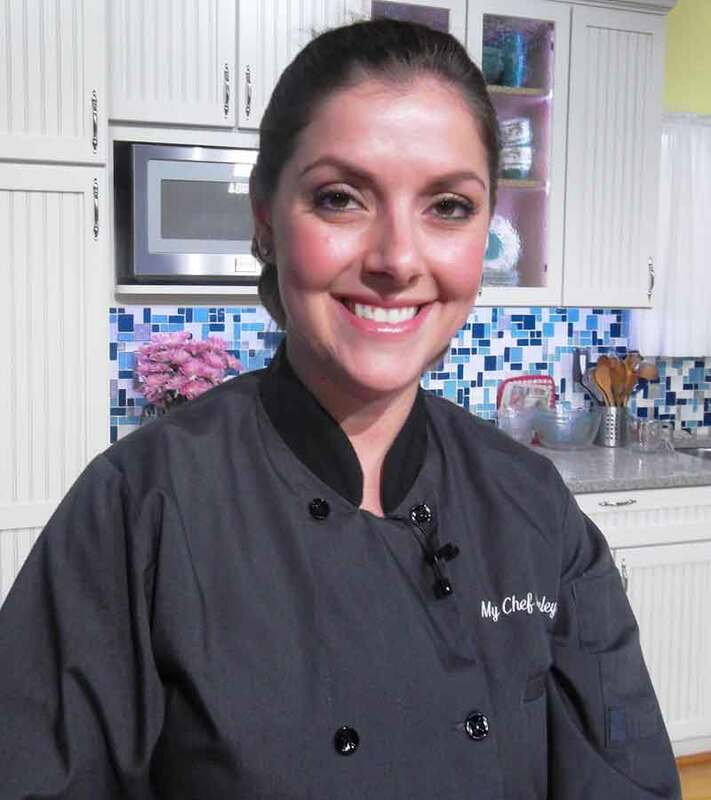 Jade Menio prepared these recipes. 1) Soak 6 to 8 skewers in water. 2) Combine all the marinade ingredients in a bowl or zipper storage bag. for 30 minutes to 2 hrs. 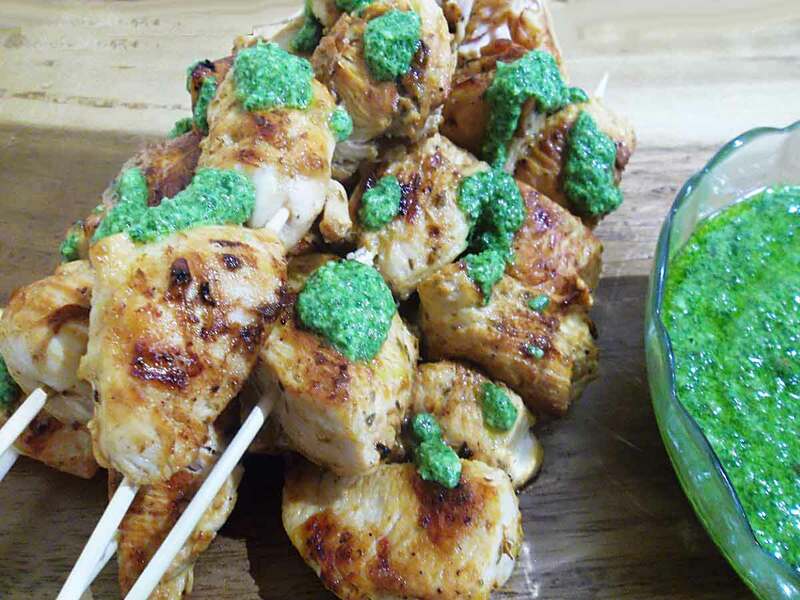 4) Skewer chicken breasts and cook on grill until chicken reaches 165 degrees. 5) Remove from heat and let rest while making pesto. 6) Place all ingredients for pesto into food processor, blend 1-2 minutes. 7) Season with salt and pepper. 8) Drizzle over cooked chicken breast. 1) Boil tortellini in salted water according to package directions. Drain and cool. from the cob, diced cucumber, and fresh basil. 3) Combine all vinaigrette ingredients in a jar with a tight fitting lid. 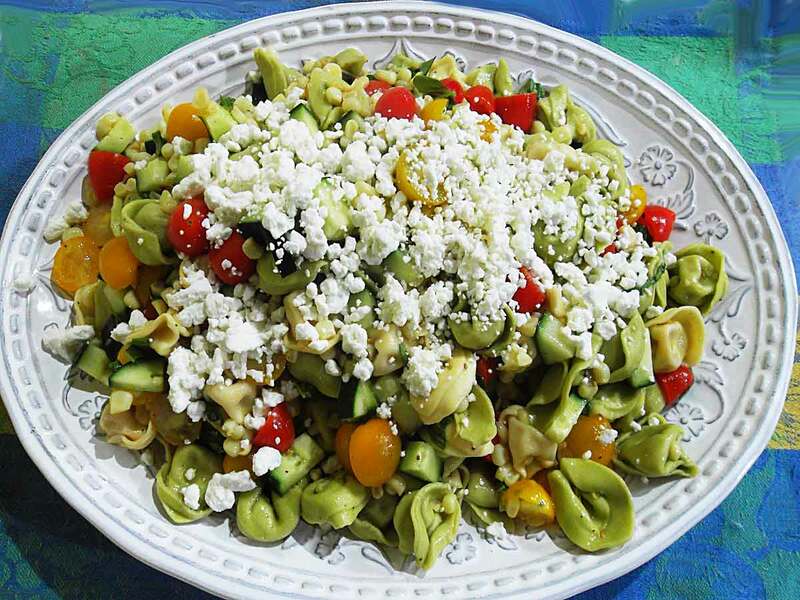 5) Pour over tortellini salad and gently mix all ingredients until well combined. 6) Top with crumbled goat cheese. 7) Chill for several hours before serving. 1) Melt the butter in a large skillet over medium-high heat. 3) Cook 4 minutes or until fruit starts to soften. 4) Stir in remaining berries, and cook 1 minute. 5) Divide berry mixture evenly among 6 bowls. 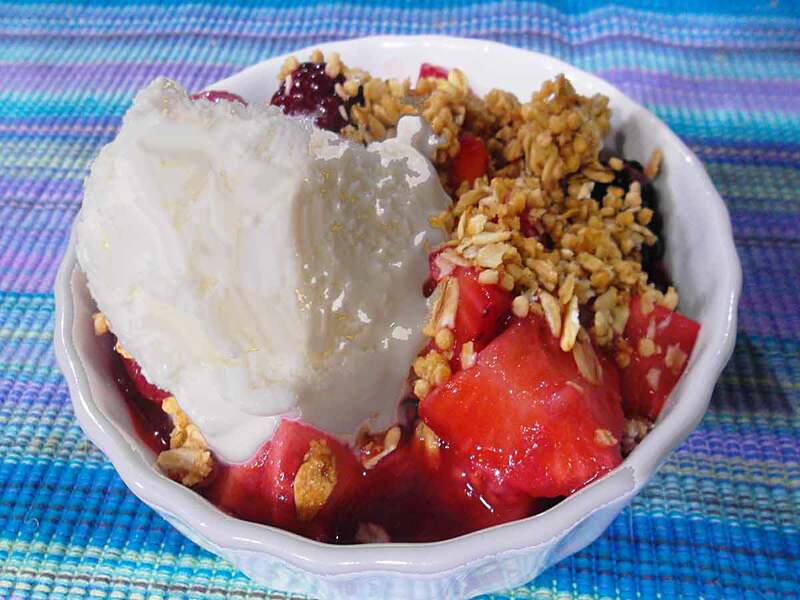 6) Top evenly with granola and frozen yogurt. 7) This can even be made on the side burner of your grill for those outdoor meals. 8) Whipped cream can stand in for the frozen yogurt if away from your freezer.